How to stimulate growth and support job creation are two critical challenges that countries confront following the global financial crisis. The Local Economic and Employment Development (LEED) Programme of the OECD has developed international cross-comparative reviews on local job creation policies to examine the contribution of local labour market policy to boosting quality employment. Each country review examines the capacity of employment services and training providers to contribute to a long-term strategy which strengthens the resiliency of the local economy, increases skills levels and job quality. This report looks at the range of institutions and bodies involved in workforce and skills development in two states – California and Michigan. In-depth fieldwork focused on two local Workforce Investment Boards in each state: the Sacramento Employment and Training Agency (SETA); the Northern Rural and Training and Employment Consortium (NoRTEC); the Southeast Michigan Community Alliance (SEMCA); and the Great Lakes Bay Michigan Works. 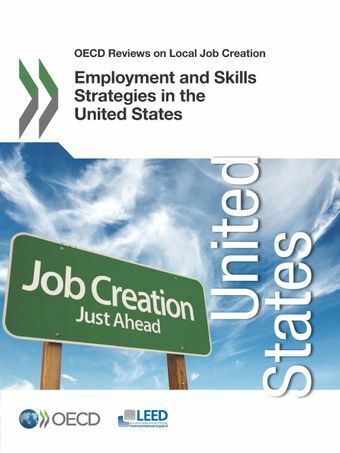 The report concludes with a number of recommendations and actions to promote job creation at the federal, state and local levels.